Feminist Fightback is excited to have been invited to talk at this year’s St Hilda’s annual Feminist Festival in Oxford. We will be taking part in the Feminism and Fascism and Borders panel talk on Wednesday the 20th of February, talking about why migrant healthcare charges are a feminist issue. 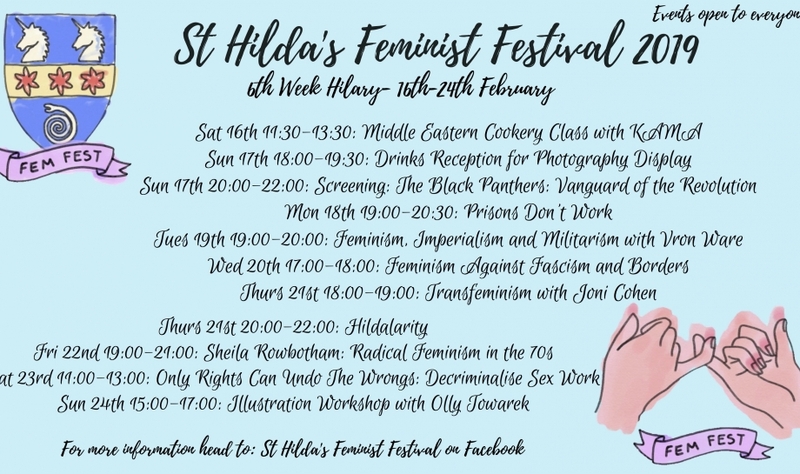 St Hilda’s Feminist Festival is organised by students and this year will run from the 16th to the 24th of February. It’s events, including panel discussions, talks, workshops, comedy and film, are open to all. Two of our members will be joined by representatives from the Socialist Feminist Campus Collective, Plan C and Brazilian Women Against Fascism for the panel discussion on anti-fascist and anti-racist feminism.